Spending a year in Japan as a student missionary was the start of Karen’s mission experience. Several years later, Karen, along with her husband, Mike, and two children, Andrews and Sarah, served in Sri Lanka, Russia, and the Middle East for a total of nearly thirteen years of mission service. While in Sri Lanka, Karen worked as the Department Director for Family and Children’s Ministries giving training presentations on how to conduct Sabbath Schools and seminars on family iussues. She and Mike held the first marriage weekend for couples in the country. She also started the Shepherdess Organization in Sri Lanka, an organization that supports pastors’ wives. Karen also assisted in writing proposals for income generation and health training for ADRA. During her time in Russia at the Euro-Asia Divison, she worked in the Division Secretariat office, setting up the office after the reestablishment of the Division. She was the liaison for IDEs, trained union and local conference secretaries and their assistants in filing, archiving, and minute taking, and set up the archives center for the Division. 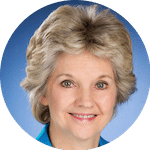 While living in the USA, she worked at the General Conference in Secretariat and also at the GC Representative’s Office on the campus of Loma Linda University, recruiting medical and dental students for mission service upon completion of the training. 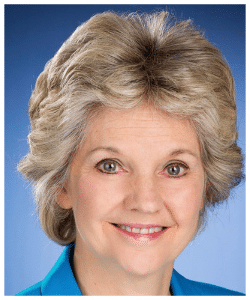 In her present role as one of the Associate Secretaris of the General Conference, she serves as co-director of Internaional Personnel Resources and Services (IPRS), liaison for the Deferred Mission Appointment (DMA) program, and Secretariat Office Manager. 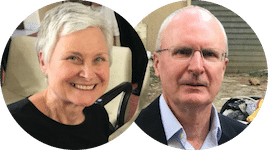 Ann’s mission experience began immediately after graduating from Southern in 1979 as she and her husband accepted a call to Bujumbura, Burundi. 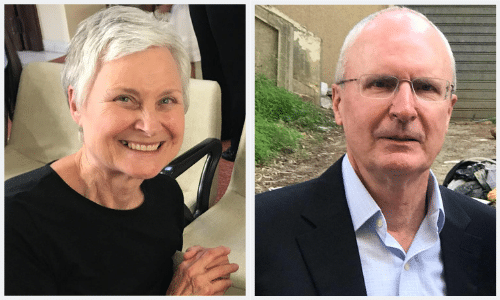 After serving in Burundi for three years, the couple accepted a call to Rwanda where the church was building a university to serve French speaking students of Africa and the Indian Ocean. In July 1990, her family had a head-on collision with a truck as they traveled the narrow, winding roads of Rwanda. Adrian was killed instantly and Ann and their youngest son, Andrew, were hospitalized for a month. On return to the states with her three young sons, she began studying psychology at Andrews initially to help her with her own grief, but eventually, to help others. In 1995, she remarried and became the wife of Dr. Loren Hamel and the stepmother of his three sons and daughter. In the mean time, she continued studies toward a doctorate in counseling psychology which she completed in 1997. 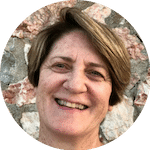 In the years since Ann has worked extensively with missionaries, both here in the US and abroad. In her work, both as a missionary and with missionaries, Ann has experienced first-hand the challenges of being on the front lines of the enemy’s territory. As a result she felt a need for additional training to deal with the unique emotional and spiritual issues that missionaries face. Ann completed her D.Min with a dissertation on Formational Prayer as a Theosomatic Approach to the Treatment of Trauma in Missionaries. For Ken, as a TCK (“third culture kid”), serving in overseas settings has represented a way of life. Memories are still vivid from days living with parents in the Middle East as well as South America before returning to the USA for educational purposes. The initial invitation from the GC to serve overseas in 1973 was a jolt for Ivanette since she didn’t remember the possibility of such being written in her marriage contract! As a young family with a three-year-old and a two-year-old still in diapers, adjustments had to be made to life on the compound of the Bangkok Adventist Hospital where Ken served in administration. Ivanette continued to be a stay at home mom. A stint followed at the Taiwan Adventist College and Academy where Ken served as business manager. It was with anticipation that the family looked forward to returning home at the completion of their term of service. 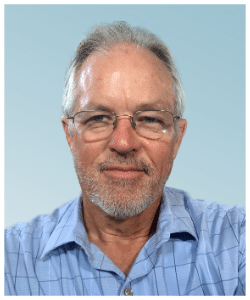 However, the GC invited them to transfer from Asia to Zimbabwe, Africa where Ken served as an associate treasurer for the Eastern Africa Division with primary responsibility for the overseas missionaries serving in that division territory. Educational concerns for three children led to a request for permanent return in 1988. Following 11 years of service at the Atlantic Union Conference and 10 years at the North American Division where Ken served in treasury and Ivanette resumed her career in nursing, a surprise came when Ken was elected at the 2010 GC Session to serve as Treasurer for the Northern Asia-Pacific Division in Ilsan, South Korea. Two weeks before departure, Ivanette was informed her assignment was to work as the administrative secretary for Secretariat at the division. Fortunately nursing administrative assignments were useful to her repurposed life as an administrative assistant with a major responsibility of interfacing with the ISE’s of NSD. At the 2015 GC Session the Osborn’s officially retired from active church employment to live in Northern California and enjoy life with children and grandchildren There was no anticipation that once again the church would extend an invitation to participate in mission service as “missionary care coordinators” for the ISE’s of the church. Strong support to this new endeavor came from the Osborn’s family: Lorelie Krussow, daughter and English teacher for Pine Hills Adventist Academy; Ron Osborn, son currently teaching at Chapman University in Orange, California; and Kimberly Kim, a Memorial Hospital social worker in South Bend, Indiana. 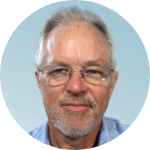 Michael Porter serves as ADRA’s International Service Employee (ISE) Liaison Officer, providing transition and ongoing support for families serving around the world. He finds joy in helping people succeed in their work and lives. He has served many years in various pastoral as well as administrative roles in the church, supporting ministries and ADRA. His experience in pastoral care, conciliation and mediation ministry, advocacy, law enforcement and hospital chaplaincy, fire and emergency services, search and rescue, ADRA leadership at the Country, Union, Division and ADRA International levels in dozens of countries, and more recently his training in life coaching serve well in support of his role as ISE Liaison Officer.